Through the simple joy of participation in team sport we motivate, educate and empower young people around the world. When we set out in 2002, our primary aim was to teach young people how to play the game, but over the years there has been a distinct shift in the focus of our work. We’re now able look well beyond the playing of the game – stimulating social change through education, and providing opportunities to improve young people’s chances in the rapidly changing employment landscape. As Nelson Mandela understood… “Sport has the power to change the world” and, as Tag rugby is genuinely inclusive, the effect is profound – it can be played by almost anyone, almost anywhere. So, with a little structure, the right kind of support, and a large dose of enthusiasm, we began to see that great things happen. What we actually do is highly effective yet relatively straightforward – and it’s this simplicity that is part of our ‘magic’. Essentially, we implement our strategy to ENGAGE, EDUCATE and IMPACT – and in that order. The scale of the initial engagement is important, as mass participation in the sport provides a large and enthusiastic audience… education follows, and the impact is profound. Tag rugby can be played by almost anyone, almost anywhere – it is simple to teach and simple to play, making it an instantly rewarding and enjoyable game. Mass participation is the foundation for everything we do. It brings hundreds of young people and their communities together, building trust and creating focus. Other benefits have been recognised, such as lower absenteeism at school; improved self-esteem; a lower likelihood of criminality; and more widespread social interaction. Our carefully developed accreditation pathway initially gives our volunteer coaches the skills they need to effectively run and maintain a sustainable ‘Tag Programme’ – such as key coaching, refereeing and first aid. With a move towards setting up Community Clubs, a whole range of business and commercial skills become necessary, and the focus turns to planning, marketing and budgeting. This wide range of transferrable skills help enormously with employability – and all whilst having fun! We consider all of our volunteers to be "change makers" and, when we've helped them to find their "voice", we help them to use it in order to determine what is most needed in their communities. Identified projects may be large or small – providing clean water; building schools; introducing reading programmes; access to the internet – a wonderful synergy takes place when volunteers immerse themselves in local communities, and the impact goes way beyond the game! Tag rugby is inclusive, adaptable, fast moving and safe. The sport encompasses a wide range of skills that are easily translated into life skills, and most importantly of all, it’s fun! Tag rugby is the simplest and safest form of rugby – a non-contact version of the game, in which each player wears a belt with two Velcro tags attached to it. As in rugby, one team of players seek to pass the ball and score, whilst evading and dodging their opposing team. Their opposition seeks to tackle them by “tagging” – simply removing a tag from whoever has the ball – forcing them to pass the ball and preventing them from scoring. Each team generally has ten players, with seven on the pitch at any one time; tries are worth one point; and there is no kicking or conversions. The space required for a game is roughly 70m by 50m, and its flexibility and simplicity means that it is an ideal vehicle to bring communities together in parts of the world where resources are few and money is scarce. INCLUSIVE – it can be played by anyone, and does not discriminate on the basis of age, gender or experience. ENGAGING – it is simple to teach and simple to play, making it an instantly enjoyable game. FLEXIBLE – it requires low cost, minimal equipment, and can be played almost anywhere. SAFE – it is a non-contact, non-aggressive sport based on cooperation and teamwork. Fundamentally, as humans we are stronger together. By providing people with a welcoming place to meet – sharing ideas, skills and experiences — TRT plays a significant role in helping local people to take action and build on the work that we help to initiate. Community Clubs are essentially “community centres” with a tag rugby focus. They act as social hubs and are a dynamic platform from which to deliver our broad based accredited education programme and instigate community projects. In return for our input of training, support and resources, these clubs provide an accessible, mass participation, grass roots tag rugby programme, along with development modules in sports specific activities like coaching, refereeing and first aid. However, we also focus on practical commercial skills like project planning, accounting and marketing, thus making our volunteers more employable and ensuring each club’s success and sustainability. Importantly, the clubs also provide a space where volunteers and young leaders can practise what they have learned, gaining valuable “real world” experience. The great thing about our Community Clubs is that we get out (OUTPUTS) way more than we put in (INPUTS). Volunteering and sharing life and career skills are at the heart of TRT Community Clubs – everyone has something to offer and, through realising their own potential, people learn how to support and inspire others. 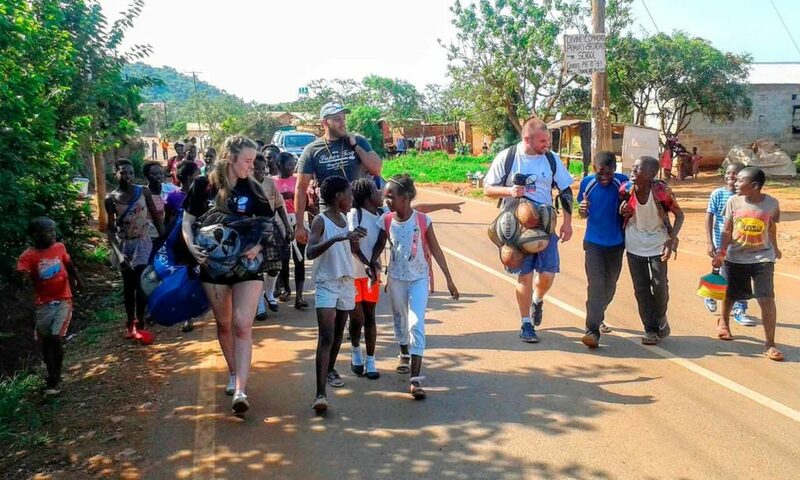 Whilst running events and tournaments, we make a powerful connection with the local people, and these are the people who guide us as to the support needed in their particular community. 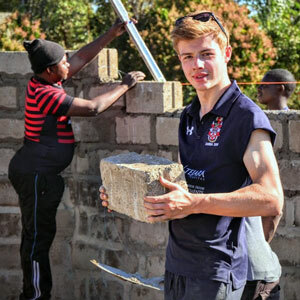 Projects are broad-ranging — collecting litter; visiting and helping the elderly; repairing and painting schools; running sports clubs and programmes for those usually excluded, such as deaf community members… everyone is “on board” and the effect is profound. These projects gain momentum, and the ripple effect means that more and more people benefit. Dreams begin to be realised as young people are set a great example by inspirational role models – it is an organic process, where confidence, stability and ambition continue to grow. Trained and accomplished individuals begin to mentor others, so that significant and sustainable change is enabled. So, in time, what may have started out as a fun game of tag rugby, may end up being a life-changing experience for a whole community.